Street food is taking over DC faster than Godzilla (now back in theaters!) trampled Tokyo. The latest spot to sling open their street food serving doors is Soi 38 located in the West End. It’s a passion project 10 years in the making from married couple (and Thailand natives) Dia Khanthongthip and Nat Ongsangkoon. 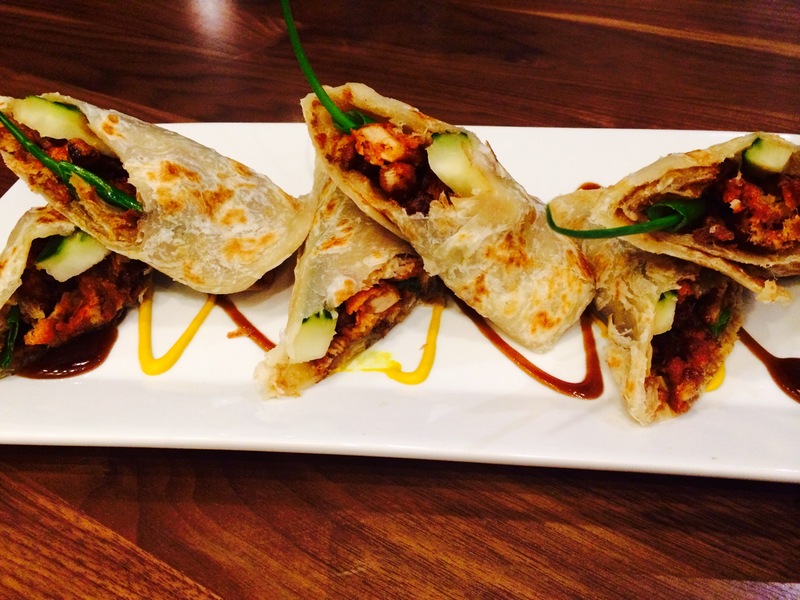 We’re a bit jealous of the duck inside the Best Thing on the Menu: Ped Roti. It’s lovingly wrapped in warm, fried roti. You may know roti from Indian cuisine or even the fast casual Mediterranean spot. But, roti is also used in Thai street food dishes that you might find at a night market in Bangkok–which is exactly what Soi 38 is modeled after. The wrap filling is sweet and spicy and also contains cooling cucumber, which you’ll be thankful for after bites eight and nine. Another can’t miss dish is the catch of the day served either steamed with lemongrass, chili and garlic or fried with Thai spicy chili sauce. 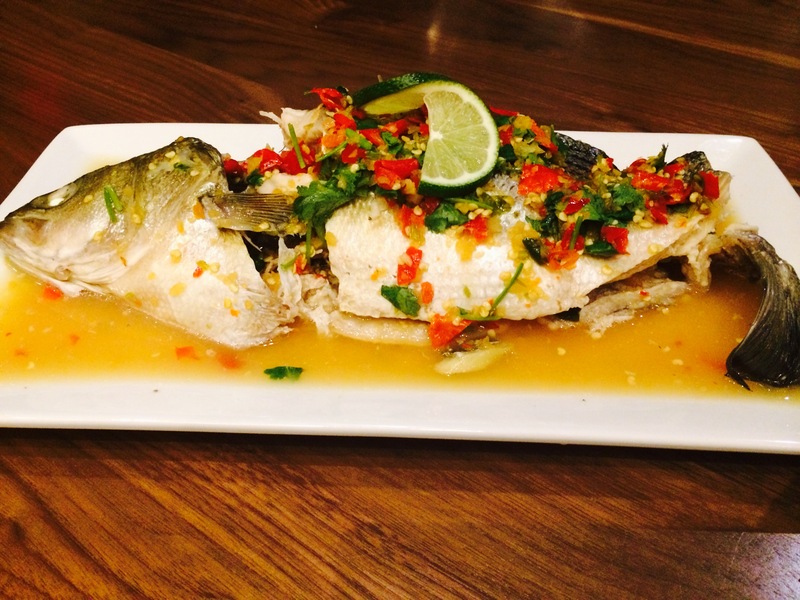 Thai spices seep deep into the flesh of fish so that you’re blown away by lemongrass and Kaffir lime with every bite. Fortunately, cocktails from JP Caceres utilize many of the same spices and herbs, so they pair perfectly. Click here for more photos from the meal. Ped Roti not your BTM? Share your favorites in the comments section. There’s nothing better than food that proves you wrong. Fast casual CAN be flavorful. Fast casual CAN mean from-scratch cooking. Fast casual CAN be so good that it warrants a trip down Rhode Island Avenue to Hyattsville, MD. Meet Spice 6, a fast casual Indian restaurant that only shares one thing in common with the Chipotle concept: Speed. Spice 6 hasn’t conformed to be bland. Those who fervently avoid shy spices and mild flavor will see what we mean, especially if they go off menu by requesting Vik’s hot sauce. 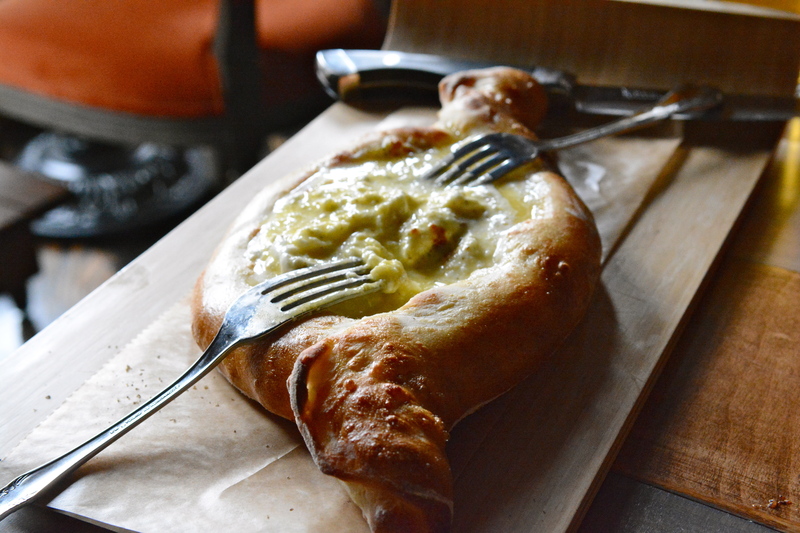 The Best Thing on the Menu: Naan Pizza is innovative, yet familiar enough that Indian newbies will feel comfortable. Load up a freshly baked round of naan with a sauce (Tikka Masala, Kadai Masala, Korma Masala or Spinach Masala) plus a protein (chicken, lamb, veggies, tofu or house made paneer cheese). Complete your pizza with a few more toppings and mozzarella cheese before it goes back in the oven for a hot sec. Then, BOOM New Delhi Domino’s to the face. In choosing your protein remember that lamb is the reigning defending, undefeated, undisputed champion of Indian food. It’s not like chicken, which just sits there soaking up sauce. The owner, Vik Singh, must really trust his Nepali Chef, Upendra Thapaliya. Being a strict vegetarian, Vik’s never tried the meaty parts of his menu. Don’t worry Vik, your chef’s got it under control. Another top pick is the chaat, a typical Indian street food. 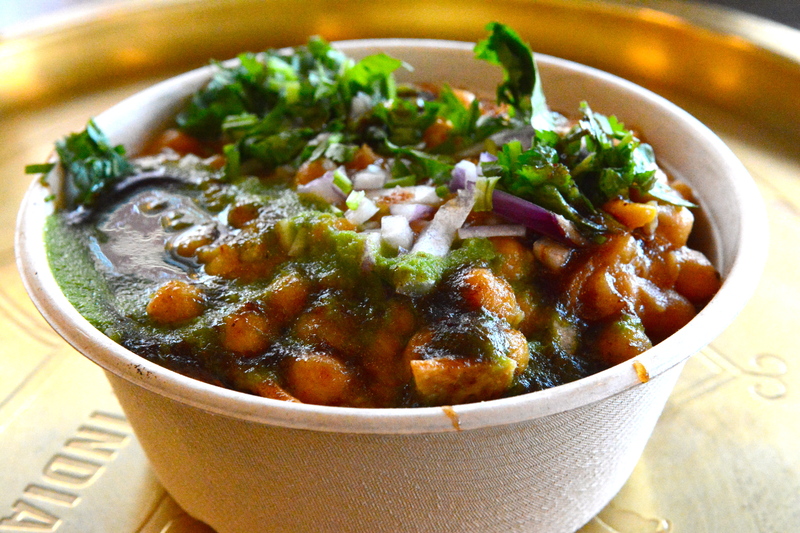 In a year when street food is king (even Anthony Bordain is opening up a street food hall in NYC), the chaat is a must try. Fried strips of naan are topped with a savory pile of chickpeas, herbs and sauces (the best of which is a sticky sweet tamarind chutney). Wash it all down with a mango lassi. 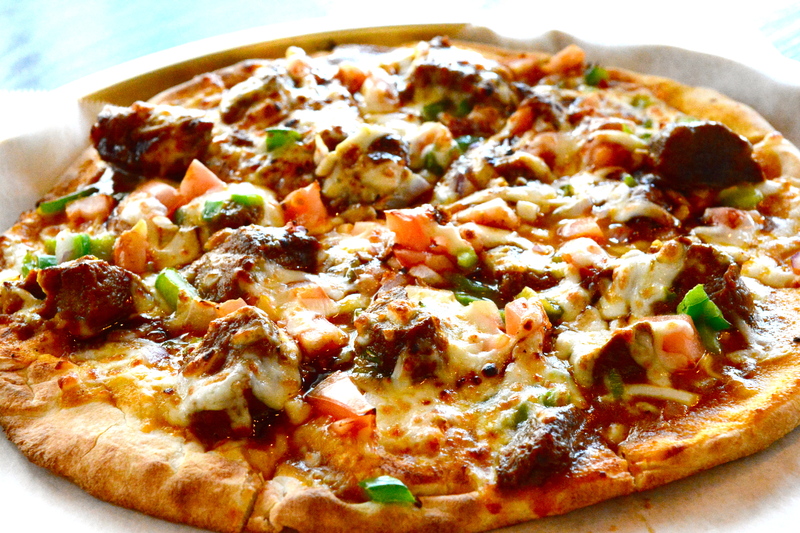 Naan pizza not your BTM? Share your favorites in the comments section. 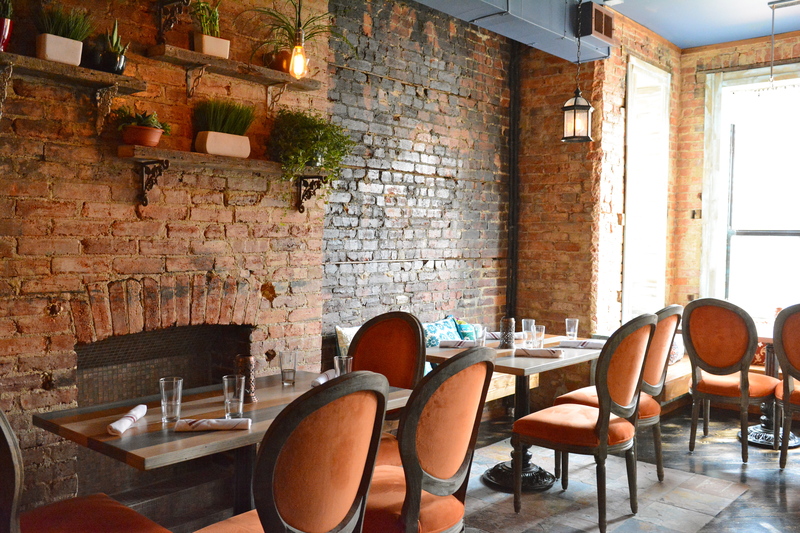 You might also like Rasika or Bombay Club.